PhotoCard is a fantastic free app that allows you to create postcards using your own photos. It's a great quick workflow app. A way that I see it being used in a geography unit is to have students research their location, find and save a photo of their location and then imagine they are holidaying in the location and sending a postcard home. You could specify the number of facts that they would need to include. 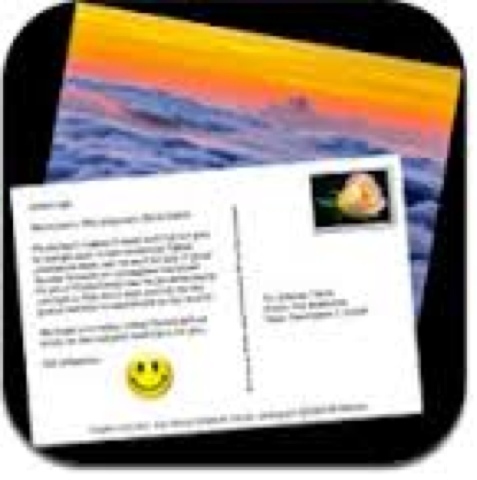 Postcards can the be saved to camera roll and used however. You do need to complete a free registration that is very simple. I did this and signed my class iPads all into the same account. You can even easily change the name of the signee as this appears on the postcard. As with all apps you plan to use in your classroom as well as all work flow lessons you develop, it is important to try it out yourself before you introduce it to the class. This particular app has many features that you only find by playing around with it.